Gatsby is a 3-4 year old amazing boy. He had a rough start in life and was very neglected, so he is extremely grateful for love and attention. He is gentle and sweet and easy to handle. He is currently boarding at a facility and has done well with other dogs there but is not really interested in interacting. So if you're looking for a play buddy for your dog, he's not it! Gatsby would make a great buddy for someone who enjoys the companionship of a big softie! He loves his walks and going to the beach but he is a big boy - and strong - so needs someone who knows how to handle him and be a good pack leader. 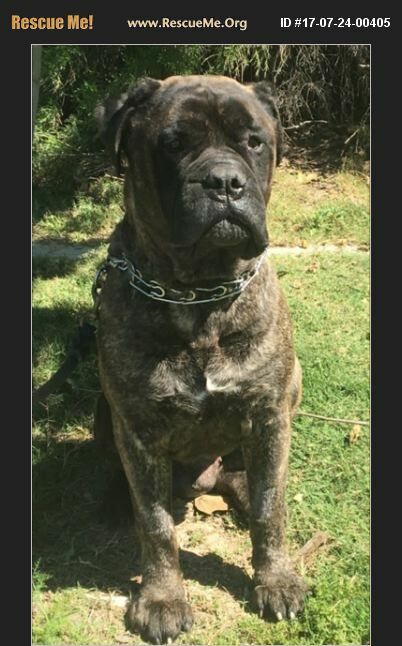 Must have Mastiff or large breed experience. If interested in adopting this beautiful boy, please email roadadoptions@gmail.com for an application. Out-of-state considered if you have the right knowledge and experience - but no shipping!